MAYA NORFLEET / Contributor The Webster Thailand campus started a process of restructuring early this year. (Cha-am, Thailand, March 3, 2011) When Jennifer Armit signed up to study abroad at the Webster University Thailand campus for the fall 2010 semester, she wasn’t expecting to be involved in administrational restructuring. The senior international relations major was one of many students who voiced concerns about issues at the campus through the student council, petitions and blog, www.fourthestate.blog.com. 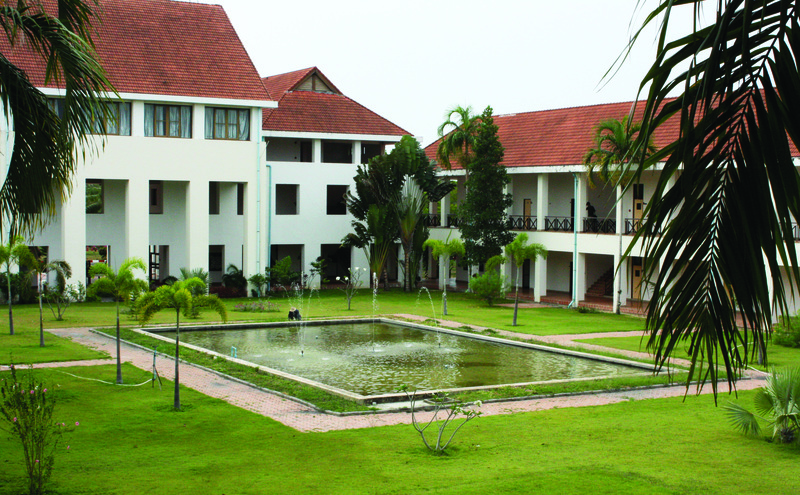 After speaking to adjunct professor Bruce Keele about the non-existent internet connection and outdated equipment in classrooms, Armit was encouraged to work with the student council in Thailand to gather data about the campus. When Armit wrote a petition asking the administration to update equipment and technology, she received more than 100 signatures on the first day. After Ratish Thakur, director of the Webster Thailand campus, received a copy of the petition and a technology audit, administrators in St. Louis began to take notice. In December, Webster sent Dean of the College of Arts and Sciences David Carl Wilson and Associate Vice President and Director of international programs Grant Chapman to meet with students and faculty at Thailand. Armit was part of those meetings. She said she was pleased with the results when she left at the end of the fall semester. Since then, Thai administrators have met with students on their campus again. Chapman said the group agreed to divide into working groups on different issues outlined by the students. Thakur said the changes will not be limited to one semester. Chapman said students are working with administrators in both Thailand and St. Louis to come up with concrete solutions to create the best learning environment. He said it’s a work in progress. The groups are set to meet again in April or May to decide what changes can be made to resolve the issues on campus. Chapman said some things have already been done. For Armit, the real change comes from having the student body speak their minds — a right she said the students now know they can exercise. Armit said she is still in contact with the Thailand campus and administrators, and she hopes for more transparency and better communication to solve the problems. Though the restructuring of Webster Thailand is just now beginning, Chapman said the administration will continue to work on the issues until they are all resolved. It is responses like these that put Armit and other students at ease. Journal: What is currently happening on the Thailand campus regarding student complaints brought to the administration last semester? Eight classrooms have been equipped with new furniture and new computer for the professor. The number of seats in the library has been increased. The student council has volunteered to use it’s current year budget for developing a new student lounge. Students have selected the furniture and the new lounge will be open very soon. We are in discussion with a second internet services provider to see if internet speeds can be improved at the Chaam Campus. J: In your opinion, what is the feeling of the campus currently? Do students seem pleased with the progress, or are they still bringing issues forward? T: My feeling is that while students are happy that we are working on making improvements they also appreciate that this must is an ongoing effort rather than a one semester task. We decided that every semester, the student council will put forward suggestions and work together with administration to monitor the implementation. We must remember that all of us want improvements and I want the student council to become a part of our planning process through a formalized structure. J: Where do you see the Thai campus going in the near future, regarding the restructure? T: We will continue to catch up on deferred maintenance/repair/replacement. At the same time it is our intention that we do not fall back into the trap of not doing things because of short term financial constraints. We are also making changes to our organization structure as we finalize plans for the 2011-12 academic year. J: Do students feel safe now that they have brought forward their concerns? T: Thailand is and has always been one of the safest places for foreigners and it is our responsibility to ensure that every student is completely safe. We work closely with local law enforcement authorities to ensure this, We also advise students on places and activities to keep away from to avoid becoming accidental victims or crime. Some students had expressed concerns that they feared retribution from faculty if they honestly appraised faculty teaching. I have informed them that faculty members do not see the actual forms, so cannot recognize the handwriting. We have made it clear to faculty that grades are to be based on the student’s performance in quizzes, assignments, examinations etc. (as listed in the course syllabus) and that other criteria for grading are not acceptable. J: What sorts of changes can we expect to see in the future? T: A lot of changes – certainly a much larger student body, Thailand has grown from a total student body of about 85 (at the end of Summer 2009) to about 290 (Spring of 2011). We expect to reach an all time high of 375 students in Spring 2012. More students means that we can have a better campus environment, more faculty members, more investment in facilities, equipment, and in things that make student life better. J: You were in St. Louis a couple weeks ago. Were your meetings here related to the student concerns on your campus? T: I was in St. Louis for the annual budget meetings; these are not related to student concerns. However I did take the opportunity of raising awareness of the consequences of deferred investment on campus infrastructure and thus on student satisfaction. I also put in a request for financial assistance (in the form of a 4-5 year repayable loan) to take care of long overdue investment. I was given that this will being considered. If approved, the funding will allow us to make significant improvements in a very short period of time. J: In your opinion, do the concerns differ from study abroad students and full-time students in Thailand? T: All students, whether study abroad, transfer or full-time, largely share the same basic concerns. Good teaching, sufficient number of interesting activities, opportunities to fully develop their skills, be able to express themselves without fear of retribution, and so on. Having said that there are significant differences in perspectives. Full-time students see the changes as a progression over a period of time. These students are able to better appreciate what the situation was one or two years before and what it is now. Study abroad students get a snapshot in time. Thus while both see the same things full time students compare the present with the past while study abroad students tend to compare Thailand with their home campus.